This graph shows the proportion of full-time, part-time, and all jobs that are paid below the London Living Wage and are based in London. 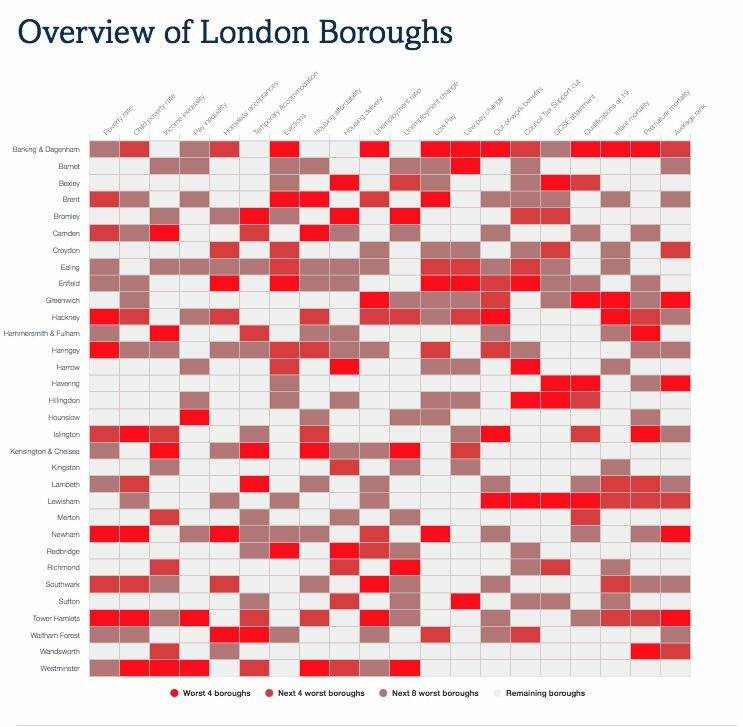 Jobs based in London are not necessarily undertaken by London residents – for example, many well-paid jobs in London are worked by those who commute into the city. In 2018, the proportion of jobs based in London that were low-paid was 20%, around 820,000 jobs. This figure was 12% (400,000) for full-time employees and 47% (400,000) for part-time employees. These figures do not sum due to rounding. 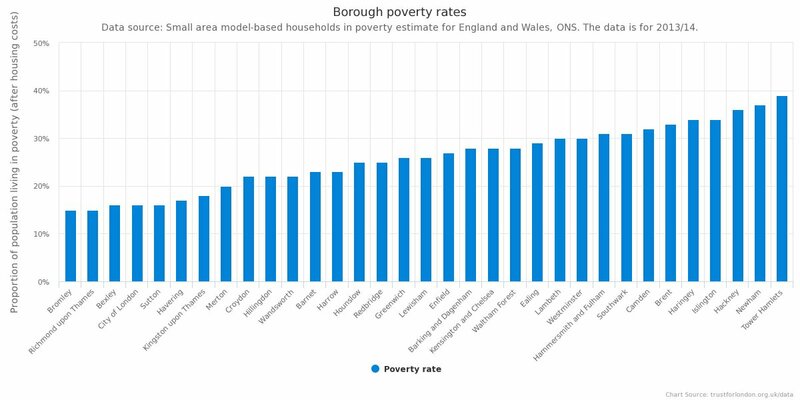 This represents a one percentage point increase from 2017, and means the proportion of jobs in London paid below the London Living Wage is now higher than it has ever been. Between 2015 and 2017 the rate did not change and remained at 19%. Before this there were several years of steep increases: between 2010 and 2015 the proportion of low-paid jobs in London rose by seven percentage points to 19%.